Ross Ferguson has today joined the Black & Golds on an emergency loan from Queen of the South until early January. 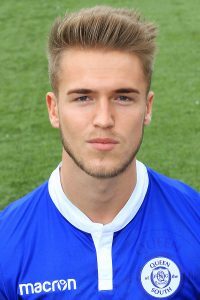 20 year old striker Ross has yet to train with the Annan squad but will join plenty of familiar from his development days at Queen of the South that have already made the move to Galabank. Queens manager Gary Naysmith is looking to give Ross the chance to play more first team football whilst our own manager Peter Murphy is delighted to add to his attacking options.